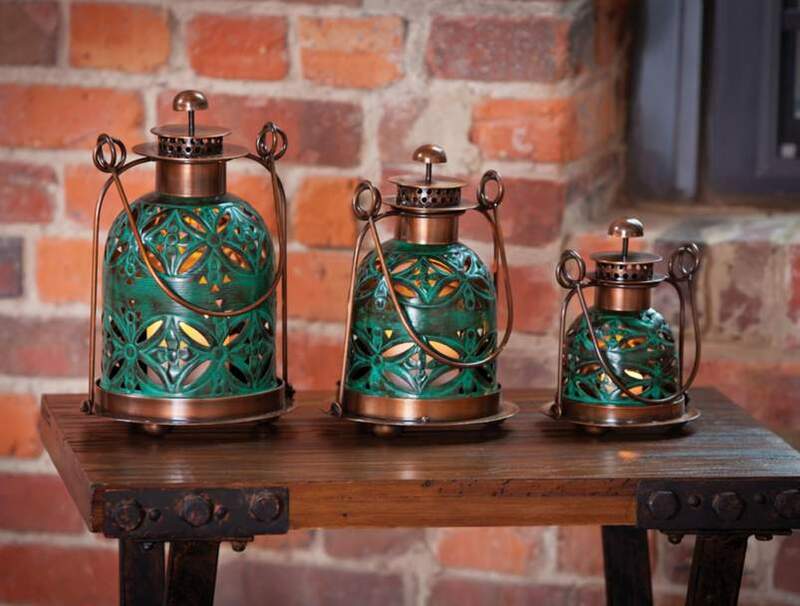 A beautifully detailed set of 3 candle lanterns that is perfect for creating an atmosphere of elegance and romance. 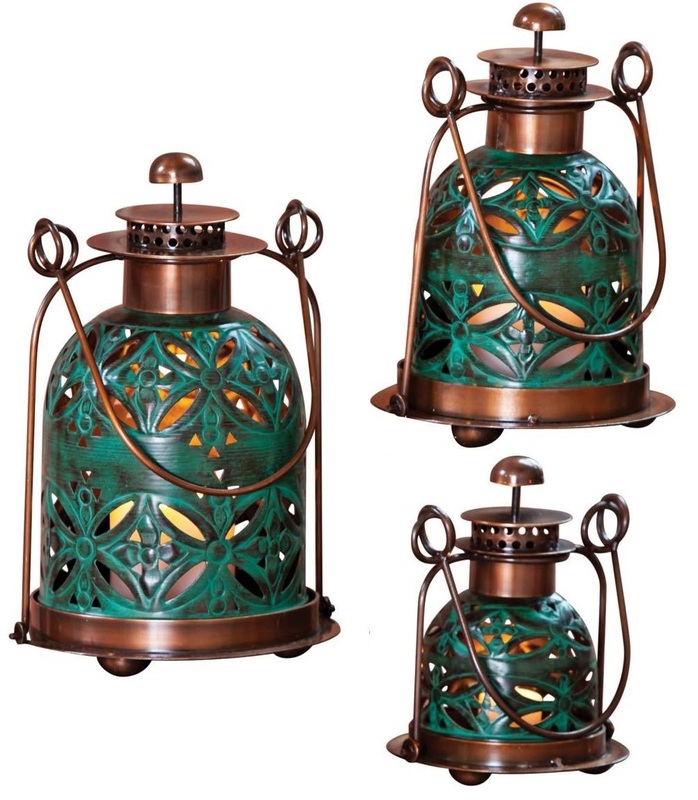 This set of three teal candle lanterns will bring added color and illumination to your décor. 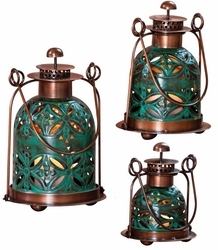 The design is constructed from metal and enjoys a teal pierced floral dome design that glows warmly when the candle is lit inside. The copper finish frames come with a handle for added style and utility. • Pierced floral dome design. • Small is 7" high and 6 1/2" wide. • Medium is 9" high and 7 1/2" wide. • Large is 11" high and 7 1/2" wide.